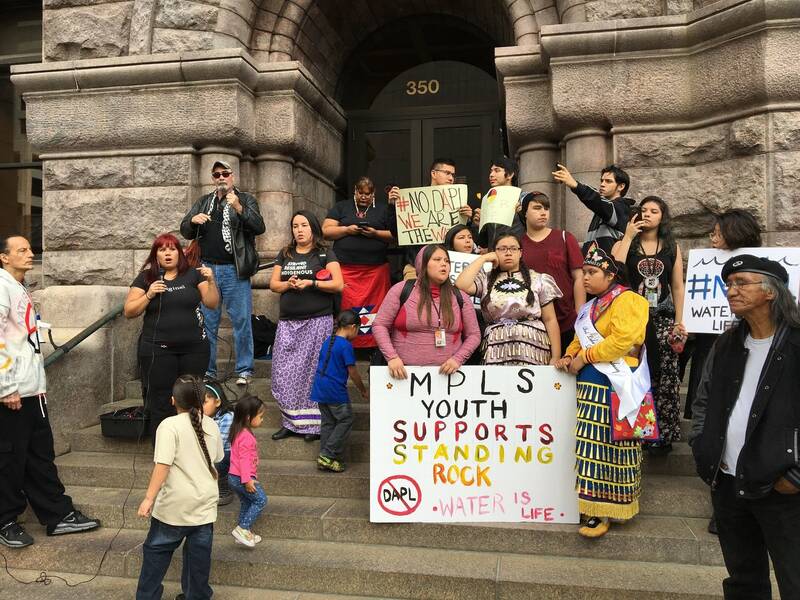 Updated: 5:15 p.m. | Posted: 4:35 p.m.
Students from South High School in Minneapolis walked down Lake Street Friday, chanting, "Water is life, water is life." 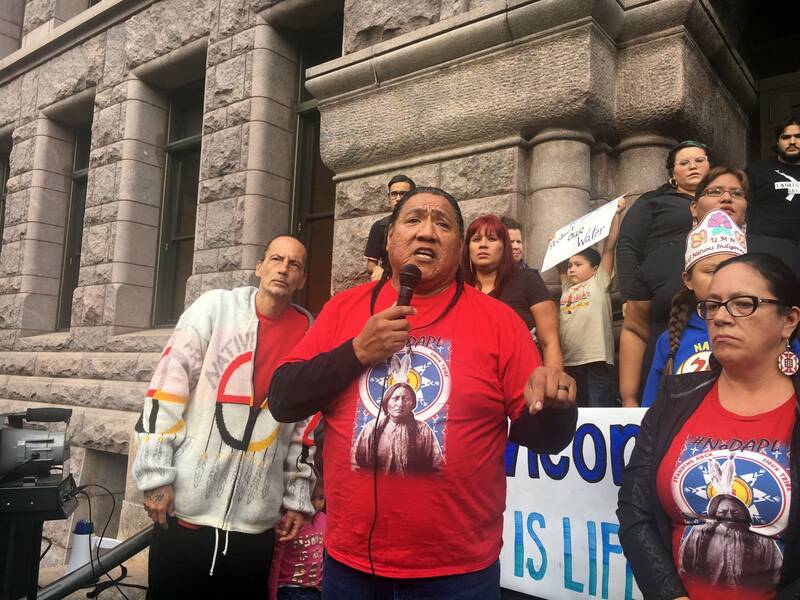 The group of about 100 was protesting construction of the Dakota Access Pipeline and the use of Hennepin County Sheriff's deputies to police the construction site. "This pipeline ... will contaminate water and it will end up hurting people. People can't drink oil. We're not meant to drink oil, we're meant to drink water," said South junior Leticia Leon. The protesters walked to the nearby light rail station, where they took the train to join hundreds of people gathered inside Minneapolis City Hall. 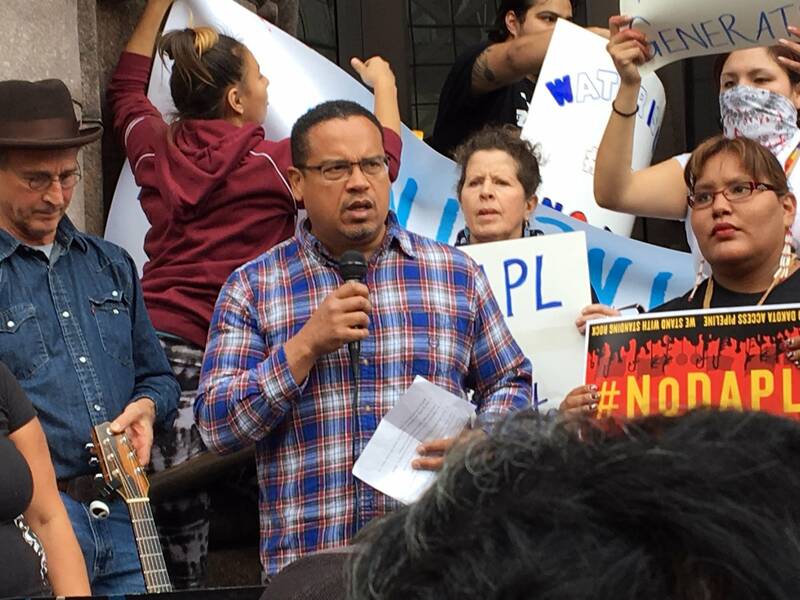 The group called on the Hennepin County Sheriff's Office to bring back equipment and personnel from the North Dakota pipeline protest. South junior Lecia Mata said young people need to take up the fight against the pipeline. "The older people have done their part, they have protected us. Each generation has a job. They got the treaties, they got the reservations. Our part is to still protect that," Mata said. Protesters continue to clash with authorities at the North Dakota construction site. The Hennepin County sheriff's office said it sent equipment and personnel in response to a request from North Dakota, and approved by the state of Minnesota. It came under the Emergency Management Assistance Compact, a national mutual aid agreement among law enforcement and public safety agencies. In a statement Friday, the sheriff's office said it "respects the constitutional right of peaceful and lawful protest. We have heard the concerns of these residents and we welcome their views." Texas-based Energy Transfer Partners is working to complete the 1,200-mile pipeline to carry oil from western North Dakota to Illinois. But the route skirts near reservation land of the Standing Rock Sioux, who say it could endanger water supplies and disturb cultural sites, though state officials say no sensitive sites have been found on the route. The opposition ratcheted up over the weekend when protesters set up camp on private land owned by Energy Transfer Partners — putting themselves for the first time directly in the project's path. The operation to push out the protesters began a day after they had refused to leave voluntarily. Law enforcement repeatedly asked protesters to retreat, at one point using a high-pitched whistle they said was intended to "control and disperse" protesters. The camp cleared on Thursday is located just to the north of a more permanent and larger encampment on federally owned land which has been the main staging area for hundreds of protesters, including Native Americans from across North America, environmentalists and some celebrities.